Remember Lindsay & John? Their wedding was so big that we had to break it out into two blogs. Remember? Well, it was also so big and so fabulous that it, along with Lifestyle Photography’s photos, was featured in WV Weddings: West Virginia’s Premier Wedding Resource. EEEK!! 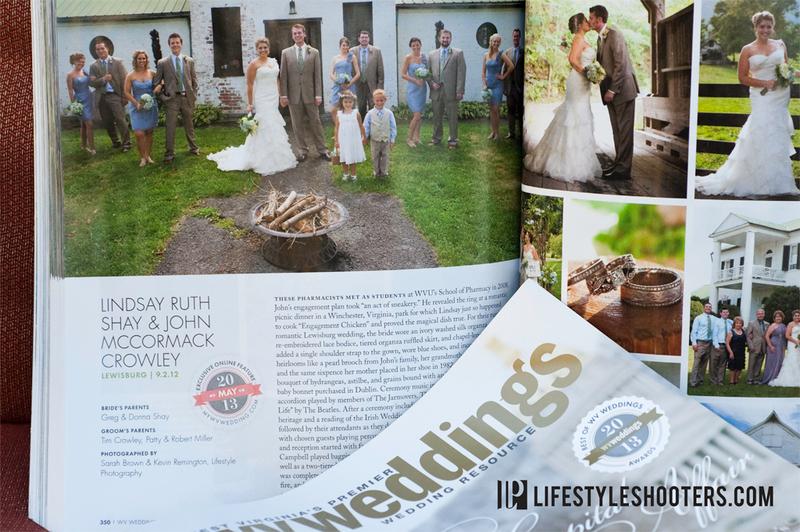 Be sure to check out the spread in WV Weddings, currently on newsstands. Also, visit the magazine website in May, since John & Lindsay’s wedding has been chosen for an exclusive online feature! Lastly, Lifestyle Photography still has a few spots open for 2013, and we’re already booking for 2014. Tell your friends! Who knows; maybe you’ll find yourself in a magazine too!